I am one of those people who cannot get enough of Christmas. I can be found watching Christmas specials in the middle of summer or reading a Christmas book in January, like I just did. In My Christmas Break Mistake, Ellie assumes that her Christmas break is going to be boring. Her best friend is leaving on vacation and her best guy friend has disappeared out of her life without an explanation. She plans to spend her break volunteering, so at least she will have something that will look good on her college applications. 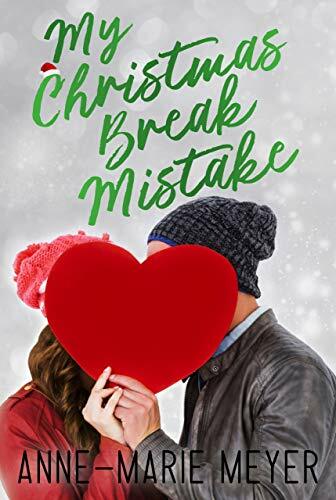 Grayson, her former best guy friend shows up on the last day of school before Christmas break and she wants nothing to do with him. When Ellie goes to volunteer the next day, of course Grayson is one of the volunteers. Ellie is forced to spend time with Grayson since they are paired with siblings in a Big Brother / Big Sister sort of program. Ellie feels conflicted because she missed Grayson while he was gone, but she still feels like there is a wall between them since he won’t tell her the reason he left. Is it possible to rebuild a friendship or consider dating someone when the trust has been broken? I really enjoyed reading this book, even though Ellie could be melodramatic at times. Who wasn’t melodramatic as a teenager? The subplot about the pair of siblings Ellie and Grayson mentored gave the story some depth, since you don’t find out what Grayson’s issue is until much later in the story. My only real complaint is that the story was a little too short. I felt it could have used a couple more chapters and given more of real ending than the one that was provided. The next night after I finished this book, I had the urge to read more of it, but realized there wasn’t more. The author probably didn’t want to make an issue book, but I felt like it kind of left me hanging. I would give this book 4 out of 5 stars. If you can’t stomach reading about Christmas yet, keep this is mind for the end of the year.